How do I log in to Moodle 3? Go to moodle3.lsu.edu and use your PAWS user name and password to log in. For more detailed instructions, see Moodle 3: How Do I Log In?. How to send Moodle mail? Login to Moodle, select the course which contains the recipient(s) that you want to send the email to, and click the Compose New Mail button in the Moodle Mail box in the top right hand corner. For more detailed instructions, see Moodle 3: Student Help Articles: Sending Moodle Mail. How to reply to a Forum Discussion? 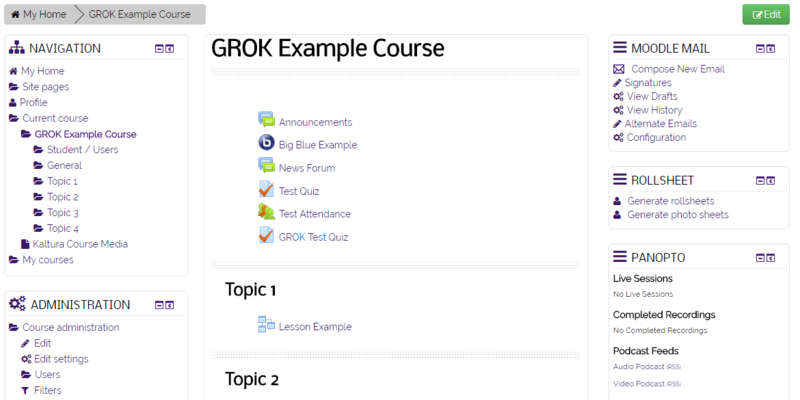 Login to Moodle and select the course that contains the Forum Discussion. Click on the Forum name and then go to the specific discussion you would like to reply to. For more detailed instructions, see Moodle 3: Activities & Resources: Reply to a Forum Post. How to edit your Moodle profile? Login to your Moodle account. Click the Edit Profile button found in the Preferences submenu of your User Icon menu. Proceed to edit your profile on the page that follows. For more detailed instructions, see Moodle 3: Students: Edit Your Profile Information. How to take a Moodle quiz? Login to your Moodle account and go to the course that contains the quiz, and then click on the link to the quiz. For more detailed instructions, see Moodle 3: Student Help Articles: How To Take a Moodle Quiz.